At Extended Stay America, guests find a friendly home away from home, whether for a day, a week or a month. Each of our 107 spacious suites offers a fully equipped kitchen, free WiFi, and a flat screen TV with premium channels, with free grab and go breakfast and laundry facilities onsite. 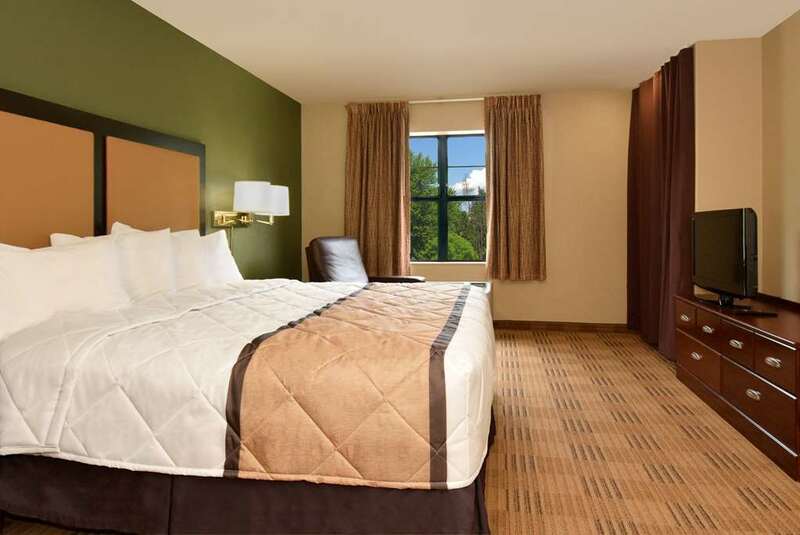 Only 2 miles from Temecula, close to restaurants, and just 5 miles from Wineries, our hotel is the convenient, affordable choice for savvy business and leisure travelers. Hotel requires guests to place a valid credit card on file upon arrival for incidental charges or damages to the guest room. If guest cannot provide a credit card, hotel collects a cash room deposit in the amount of 100USD per stay per room. At check out, the room will be inspected, after satisfactory inspection, room deposit will be refunded. Refunds over 100USD will be refunded by check within 14 days of departure. Hotel requires a valid credit card on file upon check in for incidental charges or damages to guest rooms. If no valid credit card or guest is paying cash, a cash room deposit in the amount of 100USD per stay per room is collected. After satisfactory inspection at check out, room deposit will be refunded. Refunds over 100USD will be refunded by check within 14 days of departure. ...Visit esa.com/extendedperks to join the Extended Perks rewards program. It is free to join and includes exclusive offers from Extended Stay America and hundreds of your favorite brands, no points required!